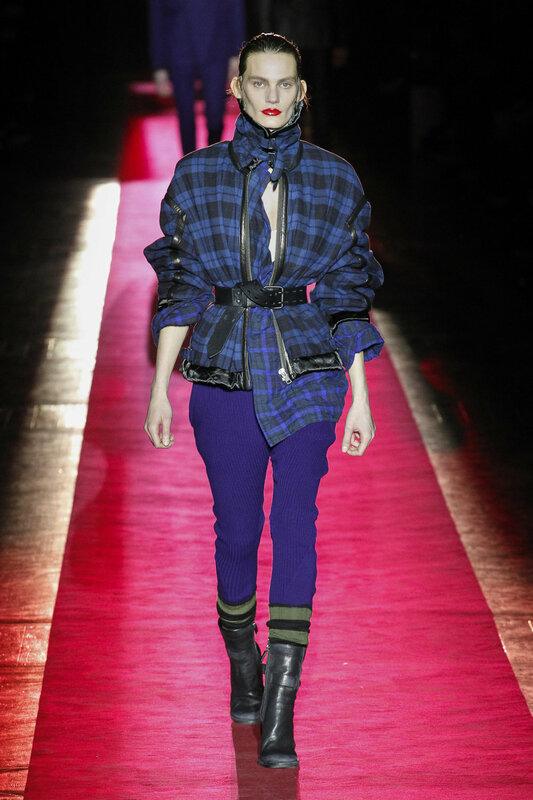 Haider Ackermann’s AW17 collection paid homage to the eclectic approach of dressing by accident or by erratic instinct. 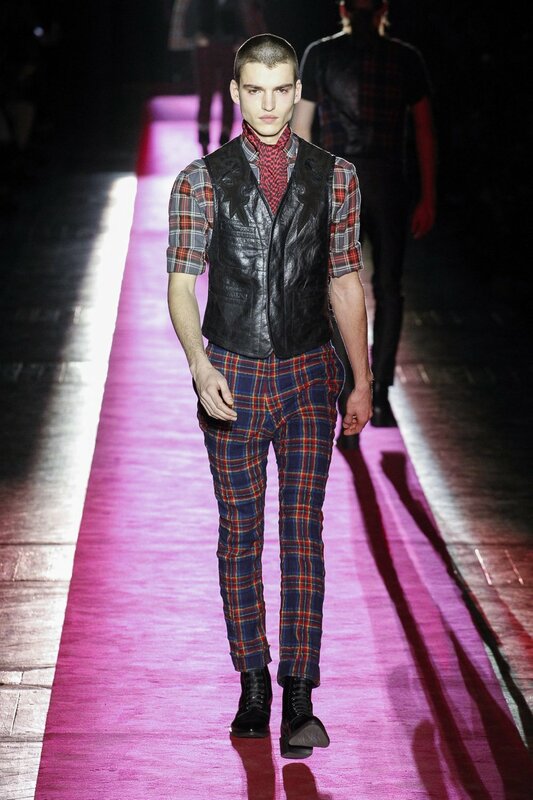 Ackermann’s designs presented a patchwork phenomenon of punk inspired textures with models layered in flannel shirts that were tied around waists, open leather vests and velvets that took the striking form of fitted trousers and sturdy square shouldered coats. 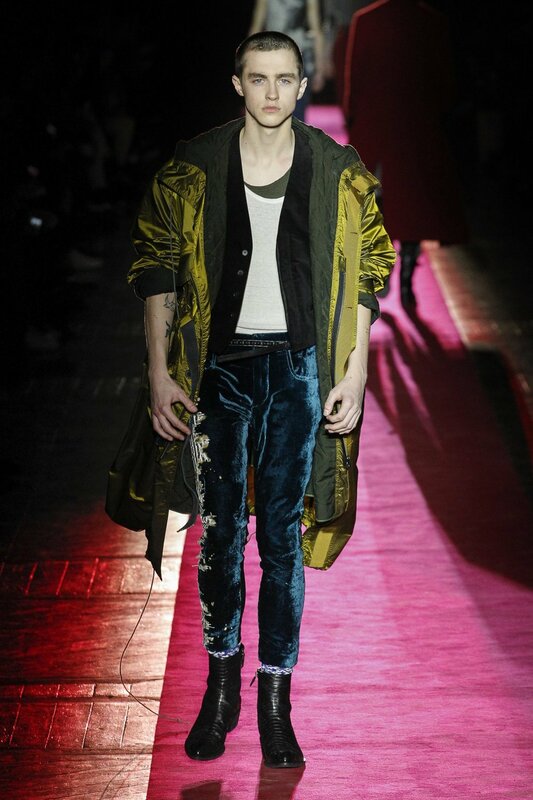 Velvet: an element in which we commonly associate with grandeur and eccentricity was manipulated in this collection to amplify a grunge-like hardness that sharpened the miscellaneous layerings of the brands individual designs. 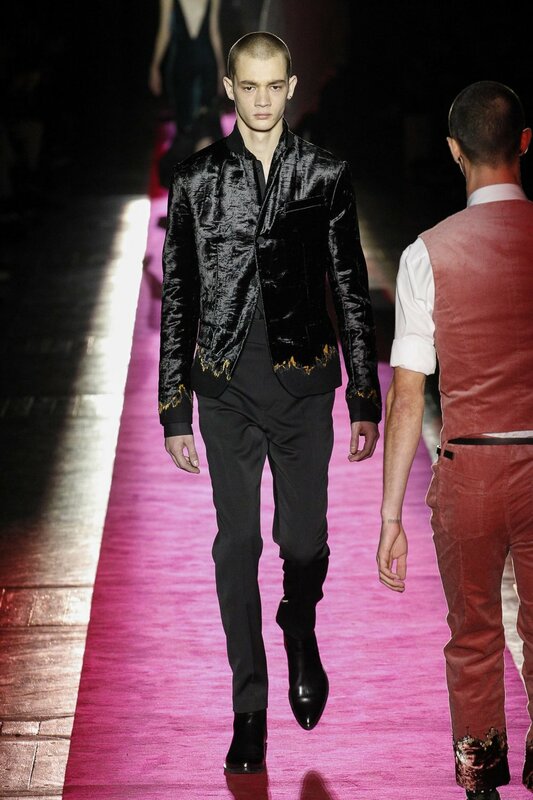 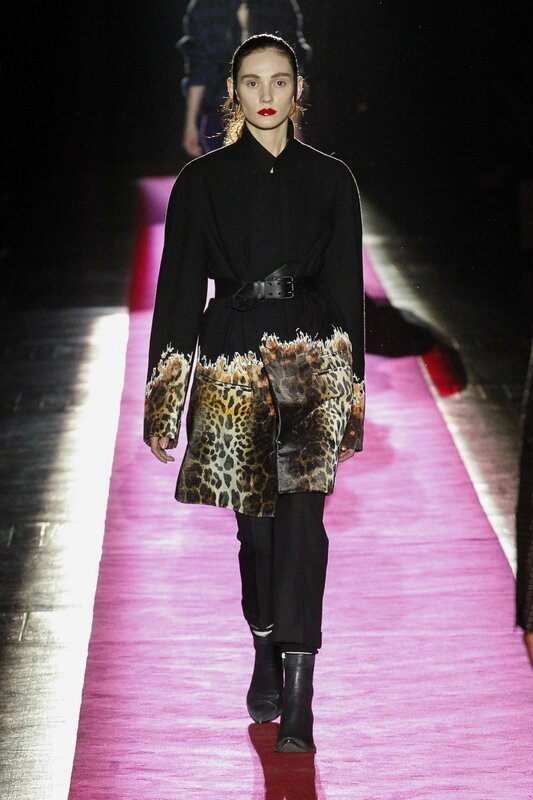 In various looks, velvet was pieced together with heavy ragged embroidery and a contrasting abundance of patterns as models displayed sharp brooding expressions and short buzzcut crops, giving another admirable nod to the DIY stylings of the punk subculture. 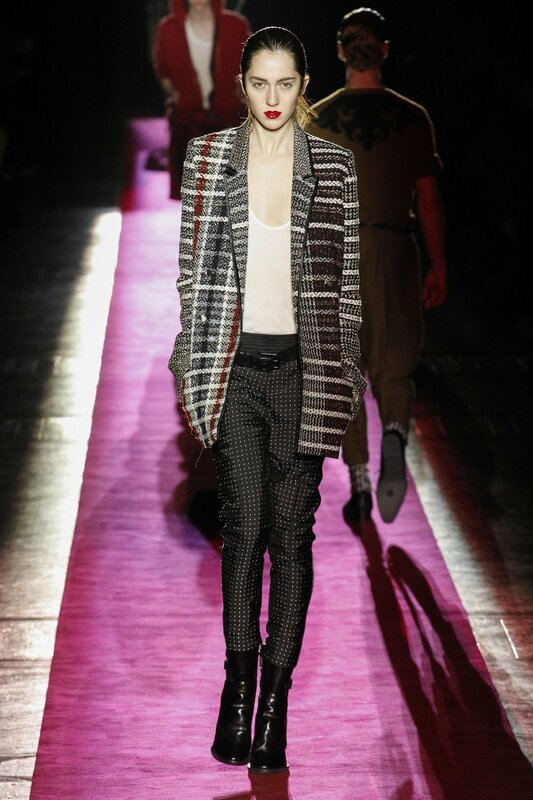 Patterns also played a powerful participating role in the collections “accidental” driven essence, as the majority of the brands looks were dominated by tartans, stripes and magnified houndstooth. 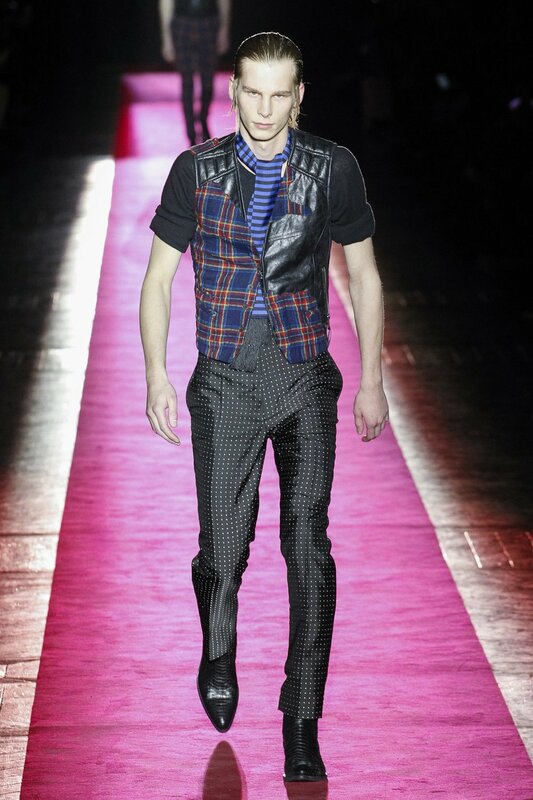 A selection of woolen pieces ran indistinctly through the collection, presented alongside leather trousers and hoodies via oversized short sleeved knitwear, exaggerated roll necks and chunky graphic socks that poked out above polished and laced brogues. 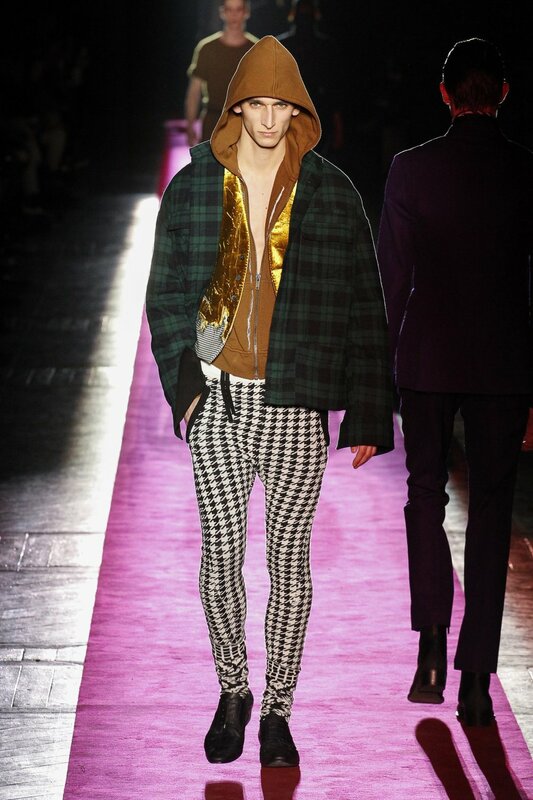 Ackermann’s disheveled combination of glossy, rippling anoraks over multiple t-shirts and velvet trousers exclaimed a Rock ’n’ Roll vagabond attitude whilst his earthy toned staypress suit and turtleneck couplings added a refined demeanor to the other looks, rounding off the entire show as a mishmash of visually pleasing tactile outfits sure to be in high demand this season. 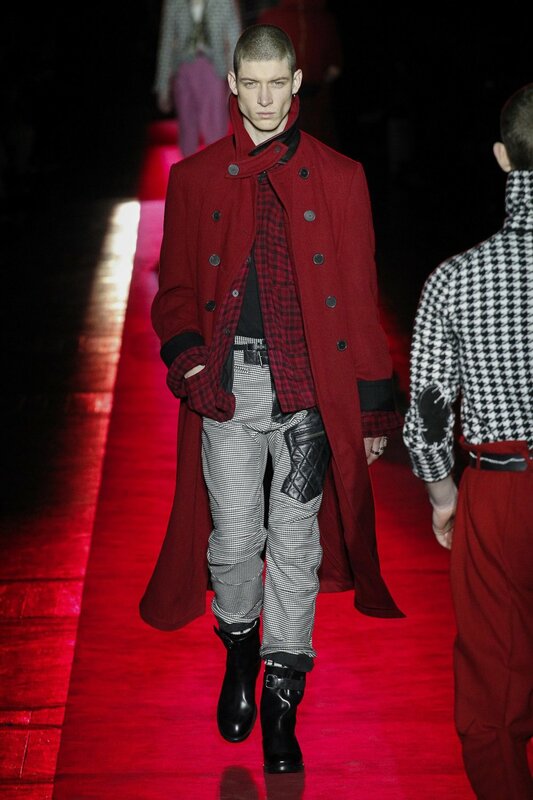 Haider Ackermann’s AW17 collection was a multifaceted, brawny street style ready experience that evoked a nostalgic, yet refreshing, ethos to modern day menswear.